This page contains affiliate links. Thank you for supporting the brands that support me and my blog! I do my best to keep this page up-to-date, but as we all know, things get hectic, life gets in the way, and time flies by. Questions? Read my full disclosure Have more questions? Feel free to contact me. Knitpicks is an online knit shop passionately committed to affordable luxury knitting and crochet. Check out thier needles, natural fiber yarns, $1.99 patterns, kits, and selection of knitting and crochet books. Free shipping on orders of $50 or more. Since opening their first store in Seattle’s historic Pike Place Farmers Market in 1972, they’ve brought the traditions, tools and tastes of the world to people who love to cook and entertain. From the beginning their goal was simple: to create the best place for cooks to shop. Nearly four decades and 90+ stores later, Sur La Table is still a culinary destination — an exciting, interactive place to celebrate cooking, while setting the standard for excellence in the industry. What a GREAT wedding, birthday or anniversary present, right?! . . . Or a special treat for yourself 😉 The Craft Beer Club finds exceptional craft brews from around the country and delivers them each month direct-to-you or your gift recipient. Every selection is produced by small-production, independent brewers who use only traditional brewing ingredients and time-honored brewing methods. In addition to traditional bottled beers, they also embrace the hundreds of small craft brewers around the country that offer their hand-crafted beers in cans. It’s the newest way to enjoy craft beers. Not a fan of beer? Wine is also a GREAT wedding, birthday, or anniversary present . . . Or a special treat for yourself 😉 Discover extraordinary wines and big discounts on gifts and accessories with Gold Medal Wine Club — a monthly club that delivers great wines to its customers’ doorsteps. With a national reputation for finding America’s finest, limited production wines, GoldMedalWineClub.com has been recognized in The Wall Street Journal, Bon Appetite Magazine, and Food and Wine Magazine. Featured wines meet strict selection criteria, including multiple medals from major wine competitions along with high ratings from national wine publications such as Wine Spectator, Wine Enthusiast, and Robert Parker’s The Wine Advocate. Greenvelope, a Seattle based company, strives to deliver the most elegant electronic invitation service by emulating the experience of opening a “traditional” printed invitation. By creating a positive online experience, they hope more people will consider sending invitations electronically for formal events – to help save trees, time, and money. Whether you want to upload your own custom design or tailor one of their exclusive designer suites, every invitation is delivered complete with personalized digital envelope, digital liner, digital stamp, and RSVP tracking. Going paperless never looked so good! More than 10 million people and businesses around the world use MailChimp. Their features and integrations allow you to send marketing emails, automated messages, and targeted campaigns. 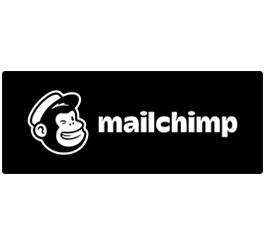 MailChimp has been around since 2001, when they started as a side project funded by various web-development jobs. Now they send more than 600 million emails a day! Choose Siteground (where I’ll be moving there soon!) if you need an upgrade and don’t want to deal with an EIG-owned company. Do you want to monetize your blog or website using affiliate marketing? ShareASale has been in business for 16 years, exclusively as an Affiliate Marketing Network. Their technology receives accolades for speed, efficiency, and accuracy – and their reputation as a fair and honest business is well known within the industry. Their objective is to provide customers with an advanced Affiliate Marketing platform. They strive to deliver the best product in the industry, and support it with superior customer service provided by people that will follow up, call back, and provide real solutions.